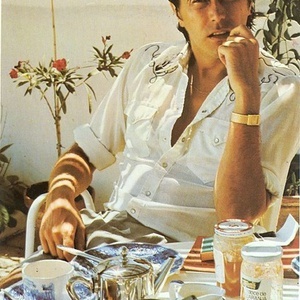 Bryan Ferry (born 26 September 1945 in Washington, Tyne and Wear, England) is a British singer, musician and songwriter. Famed for his suave visual and vocal style, who came to public prominence in the 1970s as lead vocalist with Roxy Music. He is also noted for his alternative highly successful solo career after leaving the band in 1984. Ferry formed Roxy Music with a group of friends and acquaintances, beginning with Graham Simpson, in November 1970. Famed for his suave visual and vocal style, who came to public prominence in the 1970s as lead vocalist with Roxy Music. He is also noted for his alternative highly successful solo career after leaving the band in 1984. Ferry formed Roxy Music with a group of friends and acquaintances, beginning with Graham Simpson, in November 1970. The line-up expanded to include saxophonist/oboist Andy Mackay and his acquaintance Brian Eno, who owned tape recorders and played Mackay's synthesiser.